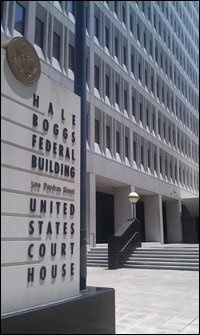 If your case is charged in a Louisiana Federal District Court (Eastern, Middle or Western), you may be exposed to additional counts that can increase your sentence under the federal sentencing guidelines. Public Corruption Defense: We represent clients accused of public corruption stemming from alleged violations of their duties of public office. Federal DWI: We represent clients arrested for suspicion of drunk driving while on federal property. Federal Grand Jury Representation: Whether you find yourself a target, subject, or a witness, we can guide you through this process.